I’ve always loved great outfit photos, but there is something personal about and outfit video. Thougth it would be fun to tell a little more about my favorite accessories, and luckily Cora from Muse Me Channel agreed with my idea! Hope you enjoy all these videos. I find it a great way for me, to let you get to know me a little better. Back in copenhagen I went to the launch of the Caroline Blomst x Deichmann collection. The style was, as Caroline described it, “Stockholm meets Paris”. It was launched yesterday, so take a look here. Just before the event I stepped by Zara and found this turtleneck on sale, and felt it went great with my “ever-greens”. Actually last time I showed you this jacket I styled it with a similar color, here. How cheesy is this? Matching accessories! I kindda dig it though. The bag is my valentine gift for myself, though I bought it a couple of weeks ago.. My first big closet investment, what do you think? 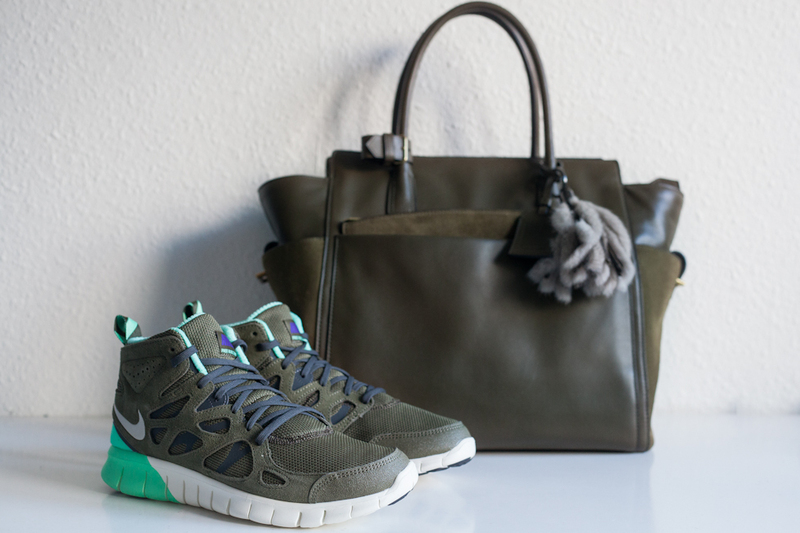 The sneakers is my valentine gift for Jones, he’ll get it when I join him for Paris Fashion week. As you might seen on Instagram(@couturekulten) I already started planning my outfits. I love how it has become a hobby for me, perfect now Jones is out of town. I’ll celebrate the day continuing my outfit planning, HAPPY VALENTINES! Tuesday, the beginning of fashion week and the day with the shortest schedule, 2 shows and 2 events. 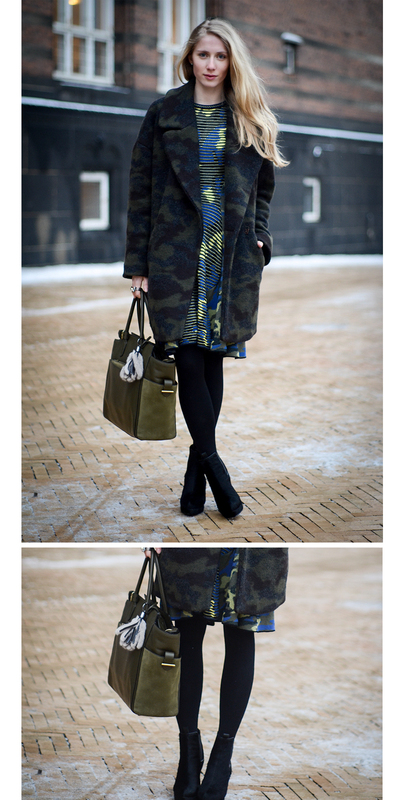 It had to work as both an inside and outside look, so I chose to wear the incredible M Missoni dress and style it casually with a oversize coat and matching handbags, all in my personal favorite at the moment, army/camoflage!